@RetroGBHippie: I think you may have missed LolWut's intent — you had said you still weren't sure whether you'd have the money for one at launch and questioned what the purpose of geting a console at launch was anyway, insinuating the people who chose to do so were foolish. LolWut explained that the people getting one were excited, and just because you may not have the available funds when it hits doesn't make everyone who does have said funds a 'stuck-up prude' (though i'm not so sure if 'prude' was the correct word to use there, haha). LolWut wasn't calling you a prude at all so far as I'm reading that particular exchange. Just because you MIGHT not be able to get one on launch day doesn't mean everybody that is getting one is a stuck up prude. Sorry everyone, Whatever i've done/said wasn't meant at all, please forgive me, I think I confused myself and not to mention, caused a stir. Anyway, what are your guys thoughts? is it necessary to get the Premium bundle or do you think i'd be fine with a basic bundle? 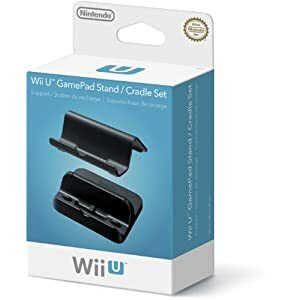 I'd prefer a black Wii U, but if that means only being able to pick up one extra game (on top of Nintendo land, that's already included) then that's fine with me. I'd like to buy Zombi U, but i'm also hesitant about New Super Mario Bros. U, it would have to be one of those two I suppose. I already bought NSMB2 recently, do you think I should pick up the U version? don't worry I know it's a sequel, but it just seems so soon for another one to be coming out.... oh well maybe I can ask my parents for it for xmas. Having played the only non-nintendo published game on a wii u demo unit at the recent games expo i went to only a week ago, I'd say Zombi U seems to be the best third party game to pick up, at least those are my intial thoughts. I'm not too concerned about getting Rayman Legends or getting those PS3/360 ports like Assassins creed 3 or Batman: Arkham city, they don't interest me what so ever, but i've got nothing against them. As long as the Wii U has a strong launch, i'm happy about whatever is released along with it. People including myself want one on launch, not only because we're extremely excited(Ok, I'm not that excited i'll admit. ) because it's part of that zany Nintendo tradition. I'm a bit behind in terms of the Wii & 3DS retai releases. It's pretty tough trying to juggle 3DS, Wii, Wii VC, WiiWare, 3DSWare, 3DS VC and Retro consoles/portables around it. I feel like i'm in over my head. Meh, I'll just got at it at my own pace.....Which has been slower than a bloated Michaelangelo on an all you can eat Pizzaria Parfe! Oh yeah definitely, Playing 3DS, DS and 3DSware/VC stuff around all the old and new stuff is always difficult to decide on when you have a brand new console around the corner... unfortunately we have to wait another 12 days after you guys until the Wii U is released down under, but that gives me time to find the money and what to allocate towards my next major purchase! However, we don't have a HD tv at home for when the Wii U is out, but i'm hoping we get one this year or next. What do you guys plan on getting, all up? I already own a Wii, 2 remotes, 2 nunchucks and a classic controller, so i should be fine there, unless I sell my Wii of course and have to include one remote and nunchuck. I plan on getting the Premium bundle, Zombi U or New Super Mario Bros. U, plus I'll get a Pro controller, if those are compatible with either of those games or at least with the WiiUware, VC games. That will probably be day 1 or day of purchase for me, there's no real need to buy more than you plan to play, as it's easy to get carried away and start a "pile of shame" again. I'll take it easy and just buy what I want to play first and then procede from there. But like you said, that 12 day wait should give me enough time to read reviews, decide etc. Well, I now have more than enough to complete my pre-order, but it is for the Basic edition since I was late to pre-order the Deluxe from GS. Now I have to check if there is even the slightest possibility I could upgrade to a Deluxe from GS if someone cancelled their pre-order for that. Have any of you tried that? I'm not, but I hope everyone that does thoroughly enjoys it. If I were getting one, I wouldn't miss Nintendo Land. Seems like uproarious multiplayer mayhem. Most of the games are single player. That doesn't mean it can't be uproarious multiplayer mayhem, does it? And it's definitely being advertised as a multiplayer, fun for the whole family experience. Actually I have yet to see it be advertised as multiplayer, and if it is the Wii Sports of the wii U wouldn't the advertise it as single player because of the whole U part in WiiU? Deluxe Bundle? It has a ton of space more(which is what I need, as lots of space is great), and Nintendo Land is awesome! Plus the stands for when I need them, awesome! Plus it's only $50 more! This has to be the best out of the 3 bundles! I'm sure glad Nintendo isn't joking around. So I'm definetly getting it. And who cares about the Stereo 3D with the Wii U? @Stereoman If you are buying NIntendoland anyway, then it's a great deal. And it's only $50 more, at least where I live. So that way, you're getting a deal. Also, the device can support 3D TVs. It's just that no games support it right now because most people don't own 3D TVs, so publishers don't see much of a point right now, even with the low amounts of cost required to put 3D into games. It's just not much of an incentive for most people. I'll definitely be getting it by Christmas. Basic is 300, Deluxe is 350. I am paying another 50 to get a 60 dollar game, A stand I was doing to buy separate if I ended up buying the Basic. (I bought the stand for the XL and use it everyday. If 32G is a joke I wonder how people with the Basic feel. I am mostly getting this for Nintendoland. Which I am already saving 10 dollars in doing so. Everything else is just a bonus to me. Wii Play was barely a $10 game without the Wii Remote. I have a 1TG drive here ready to use. Such a bad move Nintendo decided to allow me to use it instead of adding a huge HD that will make the console bigger, make more noise and cost more. They should sell them separate Nintendo brand HDs that can only be used, like the Vita Memory Sticks.